Post sponsored by The UK Reverse Phone UK Directory find out who is calling you. The high-tech instrumentation of the submersibles will allow the expedition to be broadcast live. The ‘Blue Hole Belize 2018’ expedition , which aims to survey the depths of the Caribbean Sea off the coast of Belize, where the amazing Blue Hole, the second largest sink in the world, will be broadcast live from this Sunday, According to the statement of one of the leaders of the mission, Richard Branson. The great cave on the coast of Belize, considered a World Heritage Site by UNESCO , is a small oceanic corolla island – or atoll – about 300 meters wide and 125 meters deep, which fascinates tourists and divers for its beauty and abundance of marine beings. The exact characteristics of this mysterious cavern, which has always attracted the attention of researchers, remain a mystery, since it has not yet been mapped or mapped out completely . Precisely, the purpose of the expedition is to reveal what lies at the bottom of the famous underwater cave to “better understand this geological wonder”. The managers of this expedition are Richard Branso, founder of Virgin Group and director of the leadership initiative Ocean Unite, as well as the French oceanographer Fabien Cousteau, grandson of the mythical oceanic explorer Jacques-Yves Cousteau, together with a team of filmmakers, scientists and explorers of Aquatica Foundation (Aquatic Foundation). The submersibles of the expeditionary mission carry high technology equipment that will allow transmitting the ‘Blue Hole Belize 2018’ live on the program ‘Inside the Blue Hole’ of the Discovery Channel . It is believed that the Great Blue Hole of Belize was originally a system of limestone caves formed during the last Ice Age. Then the sea level was significantly lower. However, when the ocean rose and the arc of the flooded cave collapsed, a karstic crater appeared. 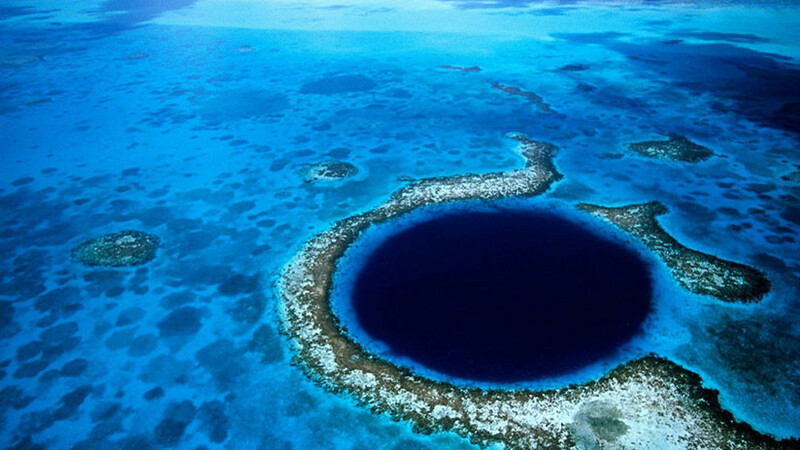 The blue hole of the coast of Belize became famous thanks to Jacques-Yves Cousteau , who included it in the list of the ten best places in the world for diving.